I'm still burned from Unity. It looks good, but I've been down that path before. I hope Sir Galahad shows up and is actually a Templar. Turns out the assassins are actually werewolves. Unity was (for me) the weakest of the series and I'm not even referring to the bugs & general clunkyness. The story and writing were terrible...Arno magically absorbing memories (WTH?!? 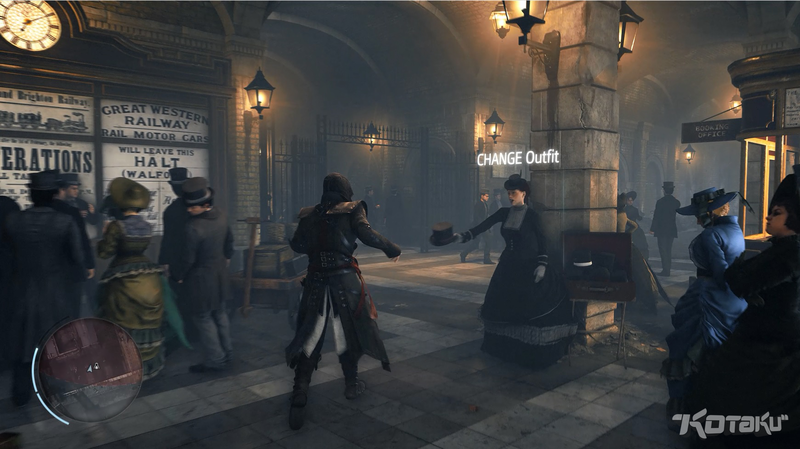 ), Arno assassinating people because random street people, and even a fortune teller tell him to (REALLY?!?). But yeah, I'm still a fan and will likely buy this. I just hope they change writers. This spiky thing is going right into that big blubbery FACE of yours, RODERICK BULMER! Am I the only one thinking that the title Kotaku leaked, Victory, would've been a lot better than Syndicate? Much better. I spent ages thinking up a good cockney rhyming slang for Victory now all that effort has gone to waste. Cherry tree. I also like 'osteopathy' but it didn't quite have the right flow. Possibly they wanted the game to hint at co-op and multiple assassin's rather than one but if feels cliched and not really of it's time. I really wasn't excited for this. I'd hoped Unity would change the whole direction of AC but it didn't seem to do anything major and this game being set in London didn't feel very exotic, having lived near there for twenty years, but the image below has me excited for it. Possibly because a knuckle duster hints at the character of the assassin as being more of a bruiser. I also like the word Rooks and the 'scratched in the desk' feel of the type. It says England without being too cliched. The boldest part is, I think, a bit unfair. Since AC1, we have had some of the magical seeping in. All assassins have had the "eagle eye" ability, and nearly all of them got the opportunity to freeze time once they assassinated their target in order to chat them up for five to ten minutes before they actually die and the assassin then has to hail tail it out of there. Honestly, I'm willing to suspend disbelief on the memories absorbed ability. If anything, they actually showed instead of told, for once. Well, since I run counter to popular opinion and think Unity was the best of the series so far, great story, super fun stuff to do, awesome DLC, and the Co-Op!!! bring on more co-op!!! This is my #1 game for the fall so far, can't wait! I would have been a lot more forgiving if they threw in a quick 30 second scene explaining it. "Since Arno came into contact with the piece of eden blah blah blah". My impression of the whole game was that whomever did the writing was sloppy and not so good. Still, to give them the benefit of the doubt, we never know what was left on the cutting room floor and I am still fan. I plan on (eventually) finishing Unity. It baffles people, but I'm one of the few that genuinely enjoyed the modern day setting elements. Since, as I've gathered, Ubisoft has rendered that part pretty vestigial, I can't muster much excitement for these any more. I actually enjoyed them too. I really enjoyed Desmond's story. Black Flag was the last game with a section set in the present, right? More details trickling out. Looks like you can play as a woman (when not on main missions.) The main characters could be a brother and sister team Jacob and Evie with 75% of missions relating to Jacob, 25% to Evie. Too bad it won't be on main missions, but that's certainly a good thing. Too bad the ratio is still skewed though (75-25%). That ratio is a shame. A brother and sister set up seems ideal for a 50/50 split or a 'play this mission as either the brother or the sister' set up but but I'm glad they are learning the lesson. I really want to play a female assassin in one of these games. Having two playable assassin's at the core of the game also seems like an interesting and different set up. I'd like a system similar to GTA 5 where you can drop into one of several assassin's lives at any time. They may have rekindled my interest in the AC series. Part 1 just came out recently. I immediately thought about that and about how poorly it has sold, which probably in the mind's of the investors, justifies their decisions. 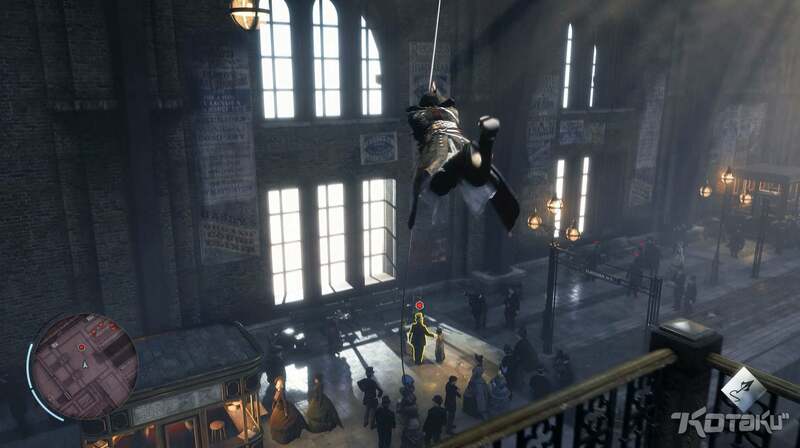 Or AC: Liberation, available initially only on the Vita, and more recently on other things. It's nice that they're available, but also unfortunate that they keep relegating women as main characters only to side projects. If I was more cynical, I'd say they were quite literally saying that female-fronted games aren't worth as much as male-fronted. Realistically, they've still got the mindset that a female-fronted game will turn away a larger portion of the audience than it'll bring in vs. a male-fronted game, and when you're dealing with millions of dollars' investment to get the game produced, you can't take that risk. I still think the whole thing stinks, and I'll happily stick to things like Bioware games that let me play female characters, and buying AC games when they go to super cheap discount. Another read would be they are trying these leads out on side projects to gauge interest, but I think you might be correct in reading it with a cynical voice. I really mean in one of the main games rather than a smaller side project. That first chronicles game looks fantastic but has had middling reviews. 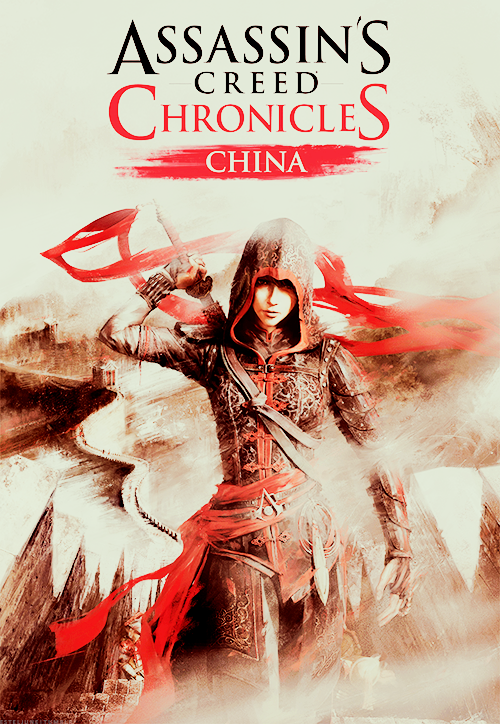 I do want to play as a female assassin but it also has to be in a decent game (I'll give Chronicles a try eventually.) I really wanted to play as Aveline. The fact that she only appears in a dodgy PS Vita game (I realise she is a bonus series of levels for the Playstation version of Black Flag) that was ported, warts and all, to last gen only adds to the frustration. So they just announced no multiplayer for this title.... This just went from most anticipated title of the fall, to probably still buy, but why no coop, why!!!!!!!!! Meanwhile, my interest was piqued with that. I hope it means that they're paring down all of the ridiculous levels of extra sh*t that they add into this game and this time it will just be the game. Yeah, I bet Sally just did a happy dance. You better believe that! I have very high hopes for this game, but am still very much on the fence about whether or not to day one this game (last couple Ubi launches have been so rocky - I don't want them to get inflated day one numbers they don't deserve!). Infernos, Jekl and I did have some fun coop games - but I probably spent twice as long trying to get the coop to work than I actually did play coop. Please just don't bring back MP!!! I actually don't care as much about the multiplayer (though it will make it easier to solo-platinum) as I'd like to see all the tie-in mobile app crap dropped. Some RL friends and I played the crap out of the coop missions, never really did have too many problems getting them going (not even close to the trouble you had, thats for sure). I'm going to really miss them.